For custom and modified bike insurance that won't break the bank, call Bikesure, the specialist motorcycle insurance division of Adrian Flux. 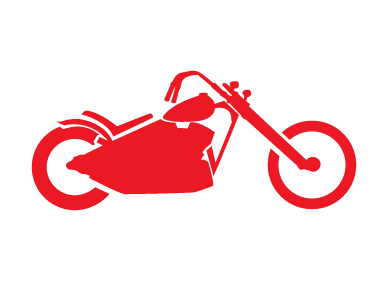 We've been offering modified and custom motorcycle insurance for years and we have a wide range of specialist custom bike insurance schemes, all specifically designed for the needs of the custom motorcycle enthusiast. We can offer a complete low-cost, high quality custom bike insurance service ranging from minor modifications right through to one off custom builds, and we offer multibike policies too. We pride ourselves on offering custom motorcycle insurance cover no matter what modifications you might have made to your bike - from a paint job to a full on nitrous kit, we can help. We know that the great thing about custom bikes is that they are as unique as their owners - but finding a cheap custom motorcycle insurance quote that still offers all the features you need can be quite a tricky prospect. Most motorcycle insurance companies don't take account of the special requirements of custom bikers. 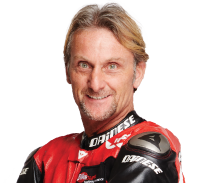 They have no way of taking into account the amount of time and effort that you have put into building and maintaining your custom motorbike, or the specialist knowledge that you've acquired. Because of this, our competitors frequently offer an expensive quote, and many of those who offer cover for modified bikes don't offer like-for-like cover on the modifications themselves. With Bikesure though, your quote will be tailored exactly to you, and our staff are able to take many factors into account which a computer system simply couldn't cope with. As a result the quote generated will be unique, and we think our custom bike insurance is very competitively priced. We know that custom bike owners are likely to take great care of the machine they've toiled over, so you can rest assured that you'll get extra special treatment from us. Whether your modified bike has just had some fairing removed or if you've fitted new filters, turbochargers or even scratch built a unique machine to your own design, we don't think you'll find any other insurer who knows as much about custom bikes as our staff. Because so many of our staff are genuine bike enthusiasts, we have specialists in house who have the knowledge and expertise to help us provide a custom motorbike insurance quote for machines fitted with even the most obscure parts and equipment. Our custom motorcycle insurance is designed around you and your bike, so you can decide on a policy with the features you want. Our policies come with the option of agreed value cover, as well as up to £100,000 of free legal expenses cover. We also offer homestart breakdown cover, helmet and leathers policies and personal injury protection as options. We can even offer a multi-bike quote that covers all your bikes, standard and modified, on one low-cost policy. "I paid just £93.25 "